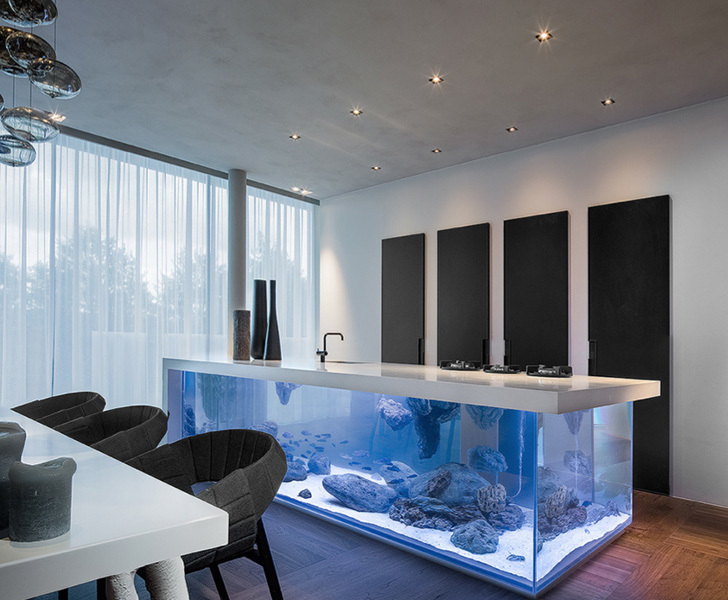 Robert Kolenik takes his inspiration from nature and brings the ocean into the home with this customizable design. 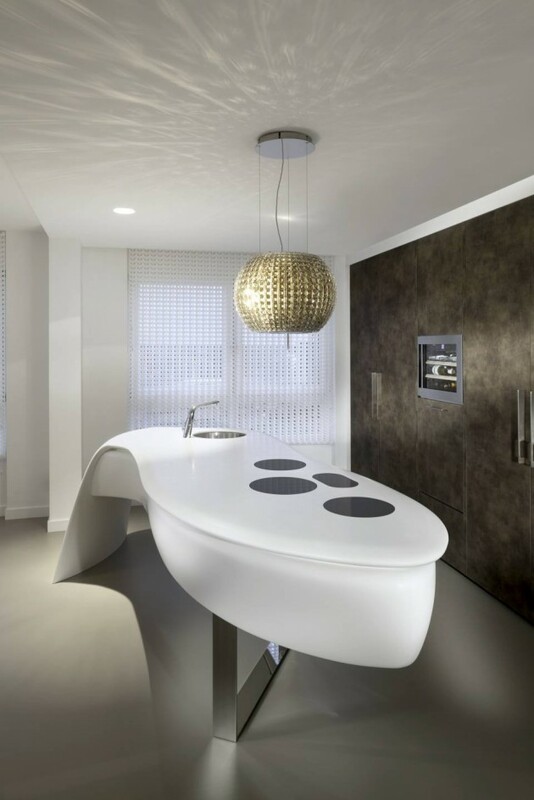 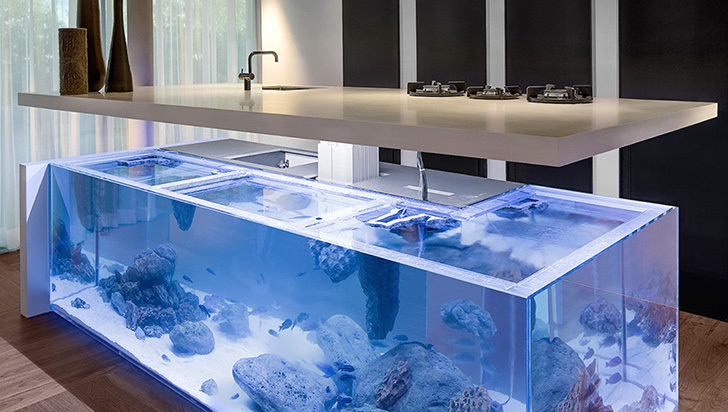 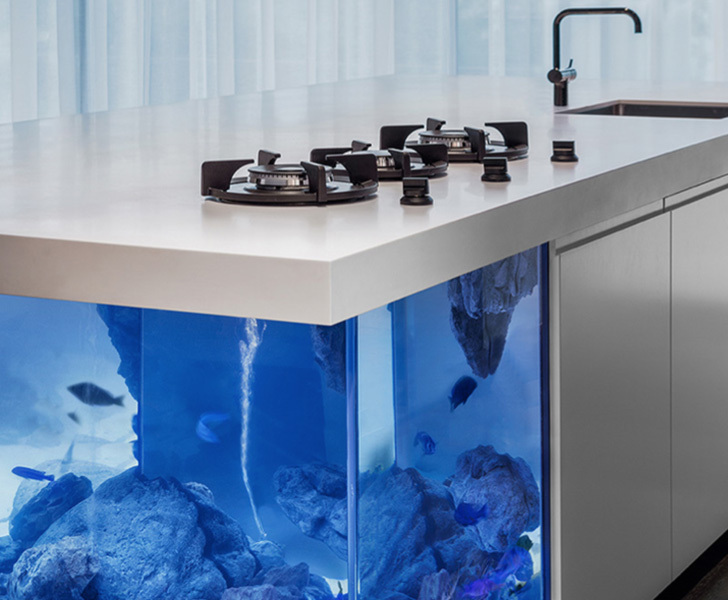 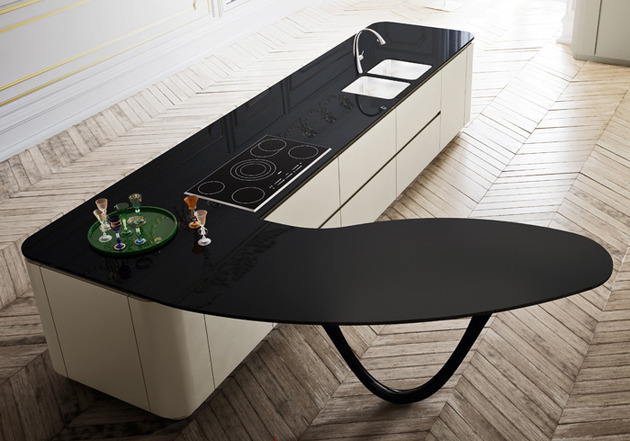 The Ocean Kitchen is a massive aquarium topped with an L-shaped slab of Corian that lifts up with the touch of a button. 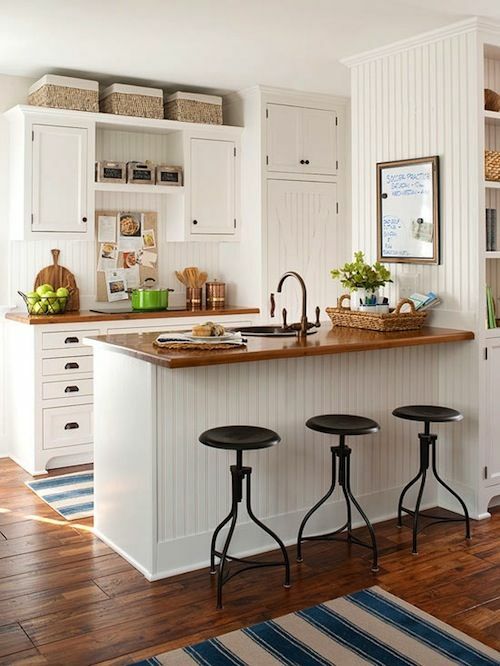 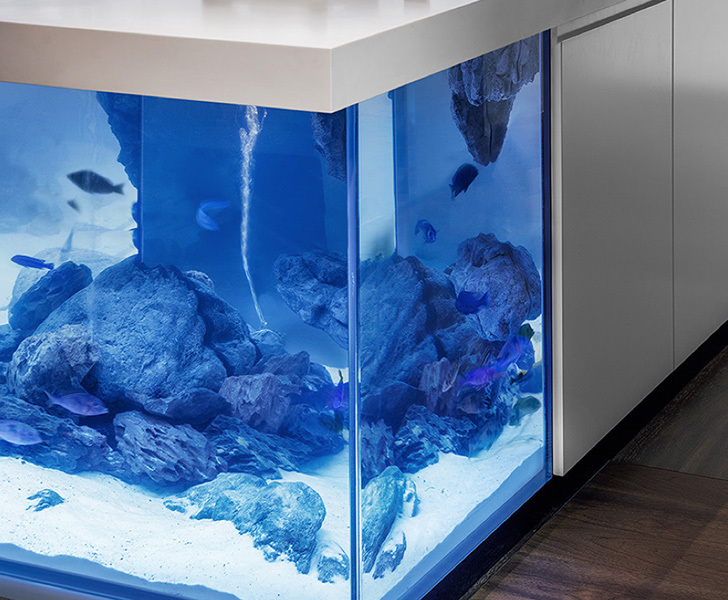 Each aquarium is limited edition and made-to-measure, and the units come complete with plenty of hidden storage space to keep your kitchen organized.